The author of "The Mailbox" delivers a novel for every woman who has looked at another woman's life and thought, I want what she has. Sometimes, though, perfection isn't always what it seems to be. 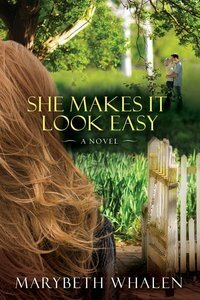 About "She Makes It Look Easy"
Marybeth Whalen is a speaker and contributing writer for Proverbs 31 Ministries. The author of For the Write Reason, Marybeth has also written for Parent Life, Money Matters newsletter, The Old Schoolhouse, Hearts at Home magazine, and Homeschooling Today. She contributes regularly to the daily online devotions of Proverbs 31 Ministries. She and Curt are the parents of six children, which has taught them much about how to stretch a dollar.